In 1947, the American Friends Service Committee (AFSC) and Friends Service Council (FSC) in Britain accepted the Nobel Peace Prize on behalf of all Quakers. AFSC maintains a Nobel Peace Prize Nominating Task Group that spends ten months each year discerning, through research, prayerful consideration and careful discussion, a recommendation of a nominee to the AFSC Board. QPSW names a representative to the Task Group, who joins in that work. As representatives of Nobel laureates (Quakers worldwide), AFSC and QPSW consider part of their role to be providing a conduit to the Nobel Peace Prize nomination process for anyone who may have a worthy candidate to put forward. The AFSC issues a public invitation for submissions on its website, as does QPSW on the Britain Yearly Meeting (BYM) website, and anyone may suggest a candidate. We do ask that in making that suggestion, they offer substantive reasoning explaining how the candidate meets our criteria (please see the criteria before putting forward a candidate). 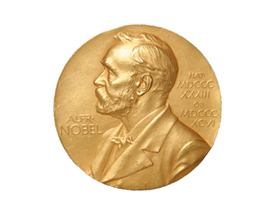 This website is intended to provide information about the Nobel Peace Prize that was awarded to Quakers in 1947, and to make the nomination process more accessible for the general public.